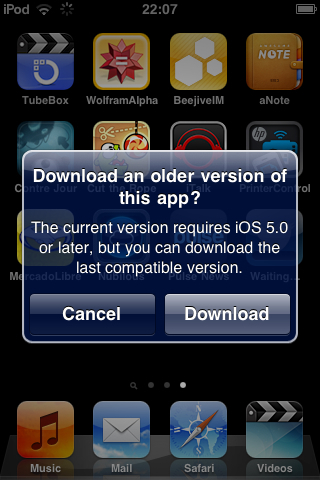 Apple is now allowing users running an old version of iOS on their device to download the 'last compatible' version of an app. Download an older version of this app? 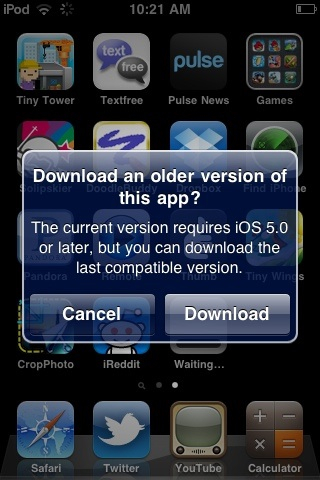 The current version requires iOS 5.0 of later, but you can download the last compatible version.